Located on the pristine sands of Mui Ne Beach, Anantara Mui Ne Resort & Spa offers a luxurious range of 5 star accommodation that blends modern elegance with traditional Vietnamese hospitality and an outstanding range of onsite facilities. Boasting beautiful beach views, the resort is close to a range of popular local tourist attractions including Sea Links City, Poshanu Cham Tower, Phan Thiet Beach and Van Thuy Tu Temple. Located on a small area of land in the heart of Mui Ne Bay, Canary Beach Resort is situated 218km southeast of Ho Chi Minh City and 250km north of Nha Trang. Set on a stunning beach, the resort offers a stylish and tranquil range of accommodation and onsite facilities close to a range of popular activities and attractions including Fairy Stream, Sea Links City, the Mui Ne Sand Dunes and Poshanu Cham Tower. 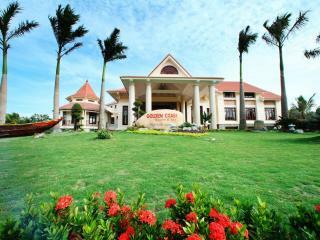 Situated 190km from Ho Chi Minh City, Golden Coast Resort & Spa offers a lovely range of accommodation on the Tien Thanh beachfront, just 7km from Bin Thuan in Phan Thiet. 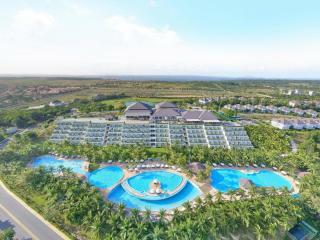 Boasting striking views of the ocean and soft white beach, the resort offers a convenient range of onsite facilities and is close to a range of popular tourist attractions including Van Thuy Tu, Duc Thanh School, Poshanu Cham Tower and Sea Links City. This boutique beachfront Phan Thiet accommodation offers an ideal location in the heart of Mui Ne, a 4.5 hour drive from the major cities of Ho Chi Minh & Nha Trang. 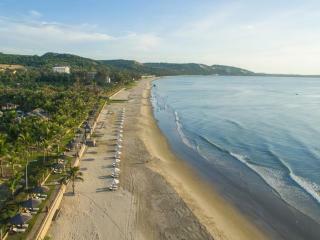 Mia Resort Mui Ne overlooks the East Sea and offers great access to restaurants & beach activities including Kite Surfing. 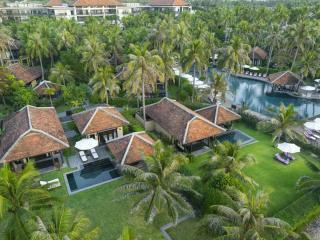 This Vietnam accommodation is the perfect escape for couples or families looking to relax and unwind in paradise. 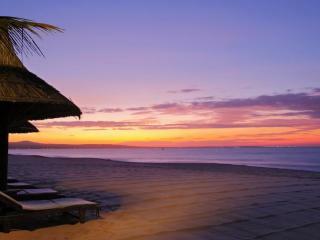 Located on Mui Ne Beach, Pandanus Resort offers luxury accommodation and is the only all-inclusive resort in Vietnam. Featuring in-house bands, an introductory walking tour around Mui Ne and a daily complimentary wine and cheese reception, the resort also enjoys an excellent range of onsite facilities. Surrounded by stunning tropical gardens featuring lotus blossoms and small streams, the resort is just minutes from the Mui Ne Sand Dunes and Mui Ne Market and is close to Sea Links City and Poshanu Cham Tower. 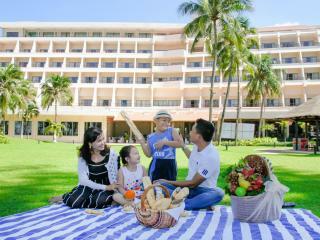 Located on some of the most beautiful beachfront in Vietnam, Phan Thiet Ocean Dunes Resort offers a range of family friendly 4 star accommodation and onsite facilities. Designed to reflect Vietnam's charming culture, the resort also enjoys all the modern comforts and an outstanding range of onsite facilities including its own golf course. The resort is also close to a range of popular attractions including Duc Thanh School, Sea Links City and Poshanu Cham Tower. Offering 4 star accommodation on a private mountain surrounded by a beautiful bay and the sea, Romana Resort & Spa is also home to a great range of onsite facilities. Reflecting the friendly charm of the locals, the resort blends classic art-deco and striking oriental design and features villa accommodation complete with their own private pools. 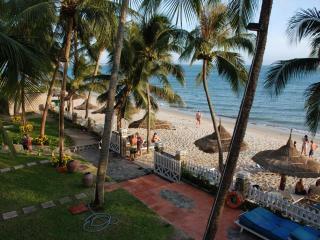 The resort is also close to Van Thuy Tu Temple, Poshanu Cham Toer, Duc Thanh School and Sea Links City. Located on the beachfront just 13km from Phan Thiet City, Saigon Mui Ne Resort offers charming accommodation combining modern comfort and traditional Vietnamese architecture. Home to a great range of onsite facilities, the resort is surrounded by lush coconut groves, soft white sand beaches and green grassy hills and is close to a number of popular attractions including Sea Links City, Fairy Stream, Ocean Dunes Golf Club and the Mui Ne Sand Dunes. 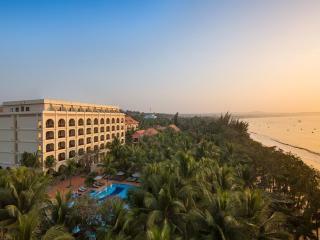 The first all-resort integrated complex in Vietnam, Sea Links Beach Hotel offers 5 star accommodation connected to Sea Links City on stunning Mui Ne Beach. Situated in the southeastern most Vietnam province Binh Thuan, the hotel is just minutes from Phan Thiet City and offers easy access to a number of historical and tourist attractions including Fairy Stream, Poshanu Cham Tower and Van Thuy Tu Temple. Located on the beachfront, Sunny Beach Resort & Spa offers 4 star accommodation surrounded by shady palm trees and lush tropical gardens. Boasting stylish rooms and suites finished n natural wood, the resort is also home to an excellent range of onsite facilities including a number of motorised and non-motorised water sports. 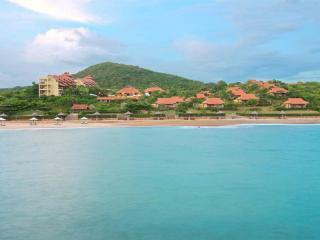 Conveniently close to Sea Links City, the resort is also just minutes from Mui Ne Market and the Mui Ne Sand Dunes. 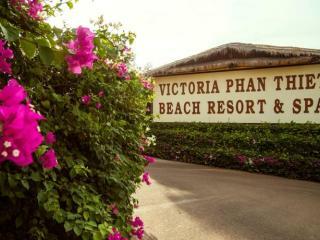 Offering 4 star accommodation on the Vietnam coastline, Victoria Phan Thiet Beach Resort & Spa is 200 km north of Ho Chi Minh City and is surrounded by lush tropical gardens. 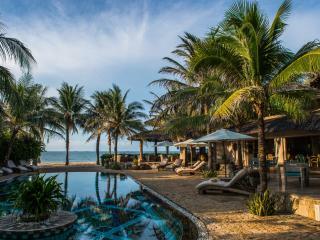 Reminiscent of traditional Vietnamese country houses, the resort is set near the traditional Phan Thiet fishing village and is surrounded by sand dunes and other natural attractions. Nearby you'll find Van Thuy Tu Temple, Sea Links City, Ponshanu Cham Tower and the 1,000 step trek to the peak of Ta Ku Mountain and the 49 m reclining Buddha statue. Offering luxury accommodation close to iconic tourist attractions, this coastal resort town is located in southeastern Vietnam and is a popular holiday destination.